Cloudforest Expedition sounds quite a bit different than a lot of Romero's previous games. 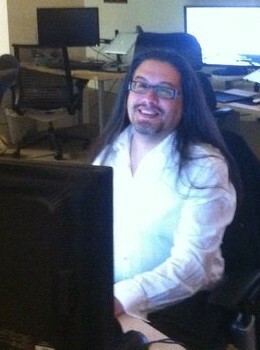 It wasn't too long ago that John Romero revealed he was getting involved in casual games, which threw a lot of gamers for a loop. However, the man behind Doom (and Daikatana, though let's not dwell on that) has now revealed information about what his new Facebook game will be like. The game will be called Cloudforest Expedition and is a joint venture between Romero's Loot Drop studio and RockYou (the latter is funding and publishing the game). The game is apparently going to be an adventure/exploration game that "invites players to become the next great explorer." At the moment, other details about Cloudforest Expedition are a little sparse. There's going to be a story with the game, though gameplay is based on exploring the game world and clearing areas. Romero has also revealed that Loot Drop will be doing a second game with RockYou, though no information has been revealed about what that title will be.